For the past 2 days, the US and European markets are very bullish because of good economics data and news from European region. Today, Asia market followed suit due to good economics data and news from China. The market also seem starting to price in an increase in stimulus package from ECB and an increase in interest rate from the Fed in December. Today, I spotted Halcyon Agri and hope that it will run tomorrow. Enjoy! 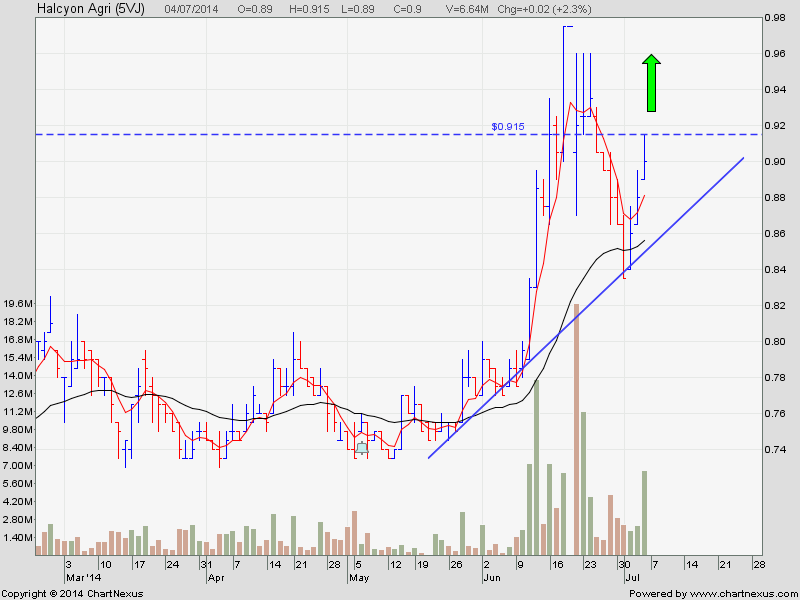 Halcyon Agri had started to rebound after a minor pullback for a week. The BBs are still holding on to this stock. You can enter this stock again and piggyback on them to ride the uptrend.